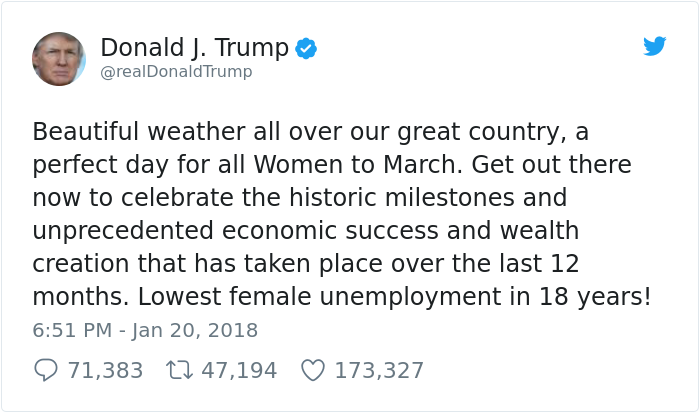 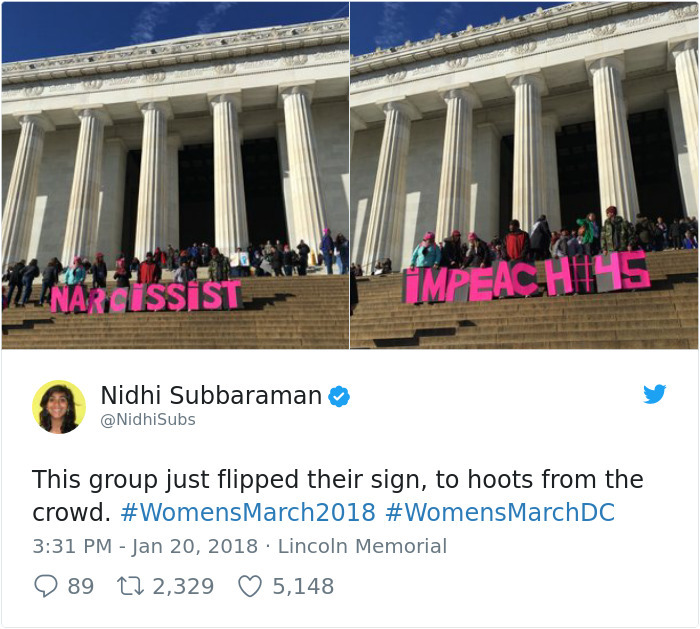 A year on from Donald Trump’s inauguration women have taken to the streets once again, as a follow up to last year’s Women’s March. 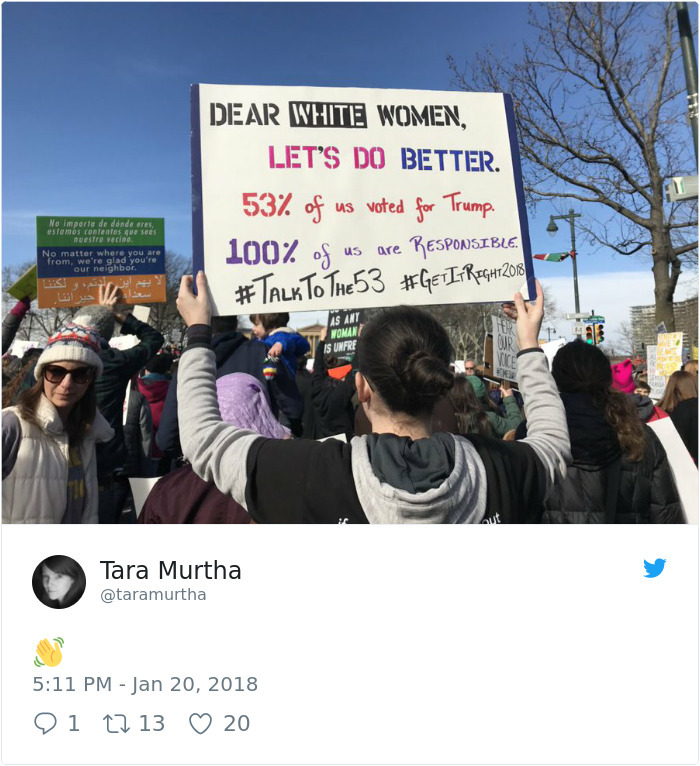 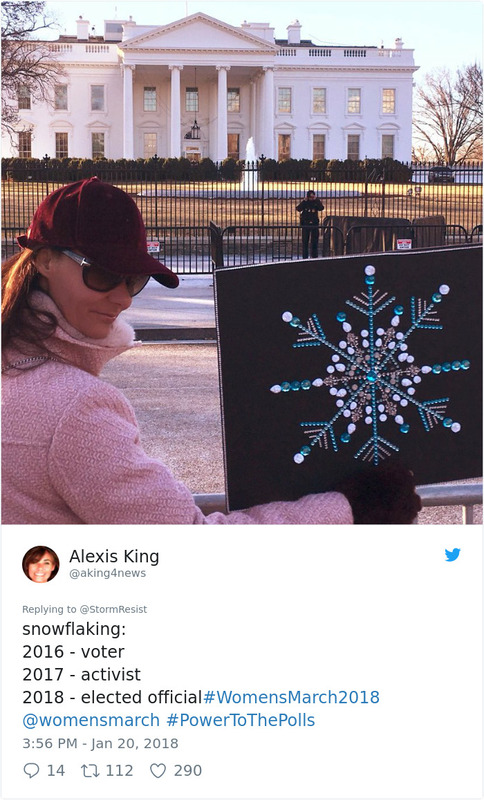 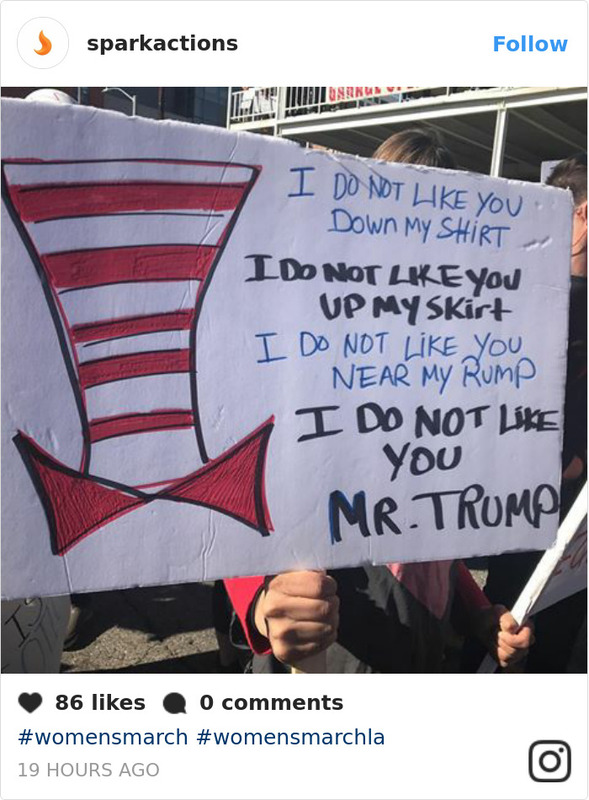 Proving that this movement here to stay, thousands of women turned out to voice their displeasure with the current administration in Washington D.C. and just like last year, they have made some hilariously creative and clever signs. 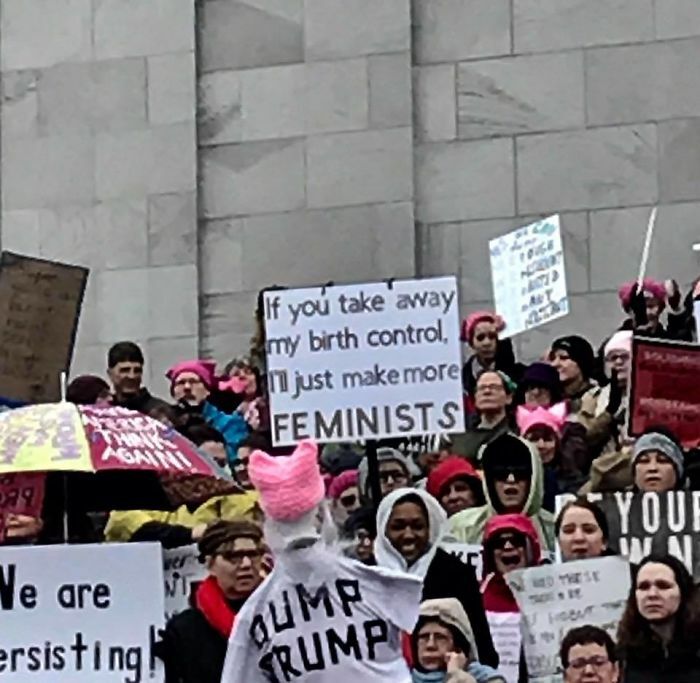 It has been a tough year for many of these protesters, who have seen attacks on their reproductive rights, the rise of far-right movements and an immigration reform that is dividing families as well as the nation as a whole. 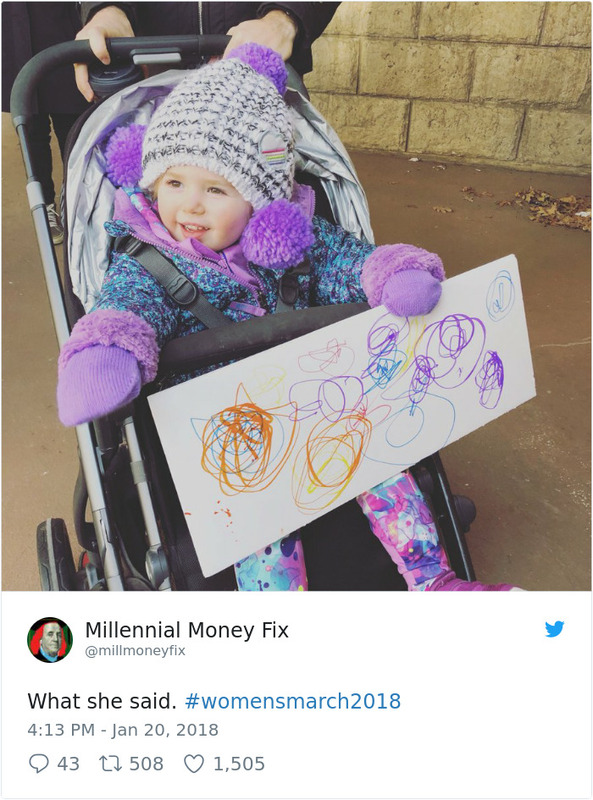 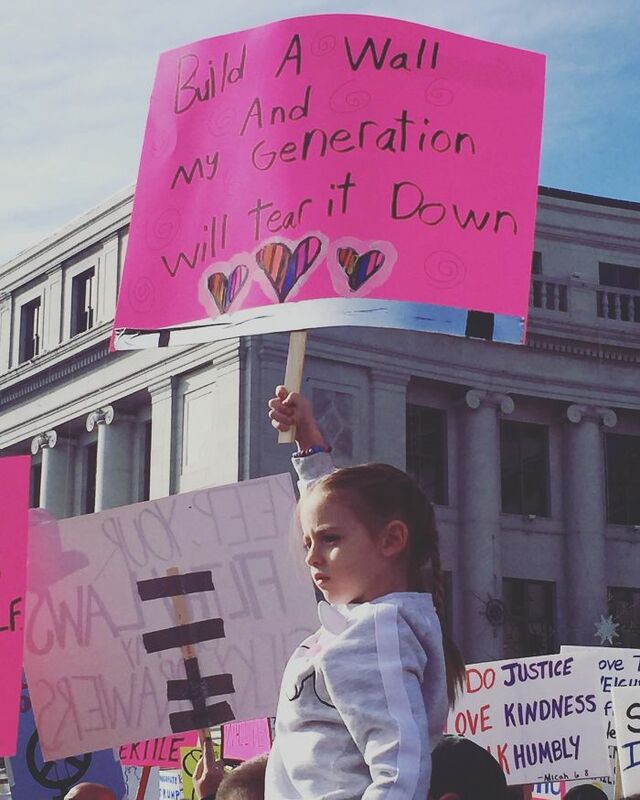 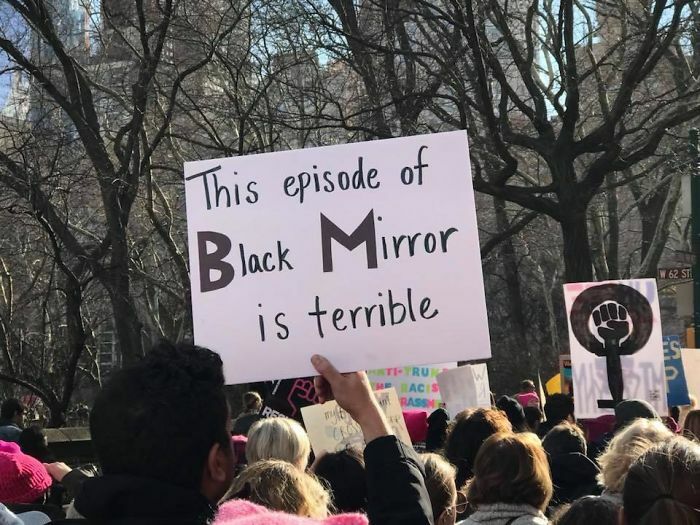 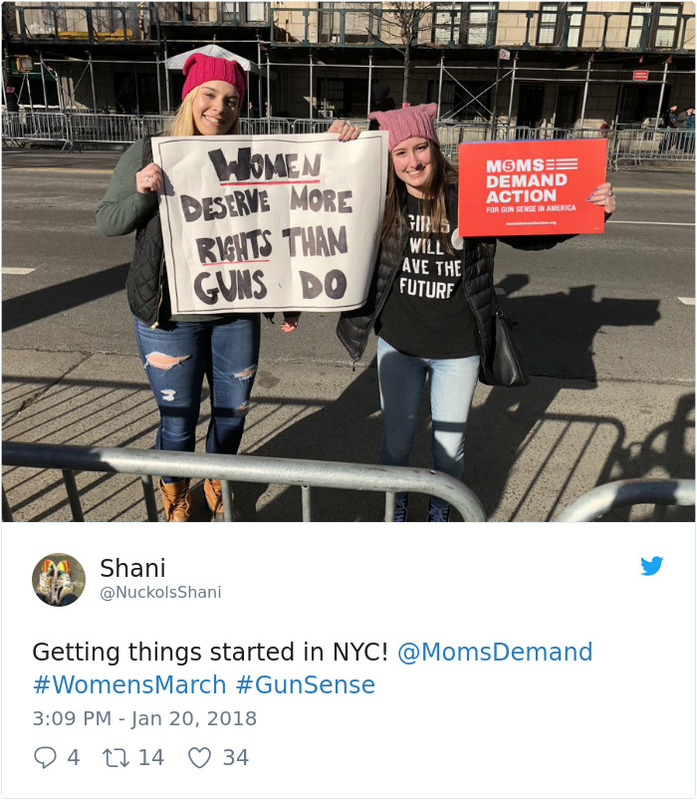 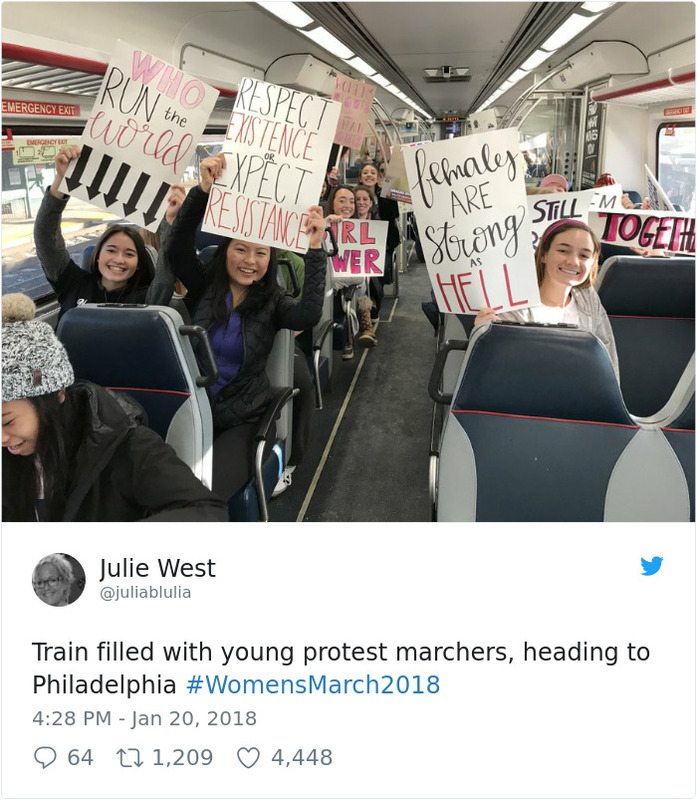 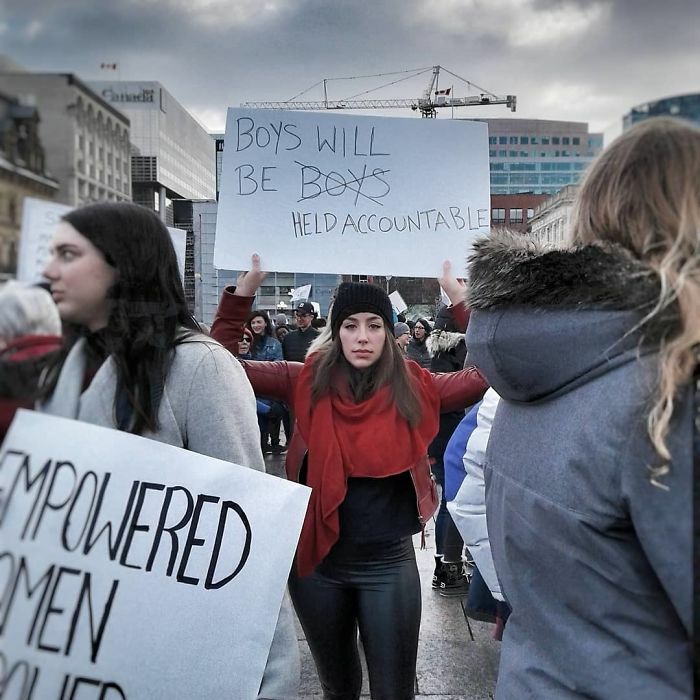 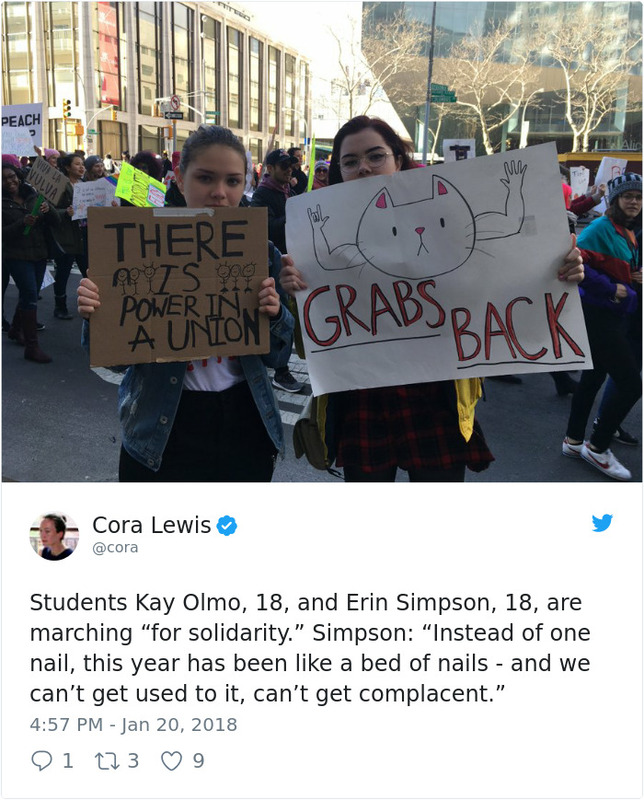 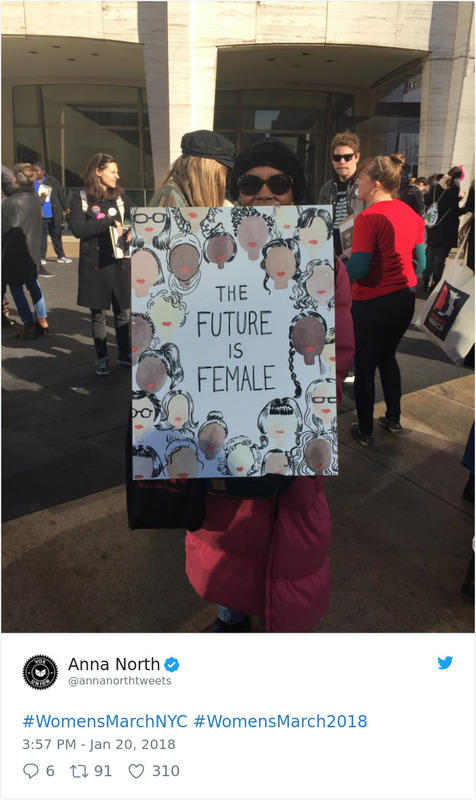 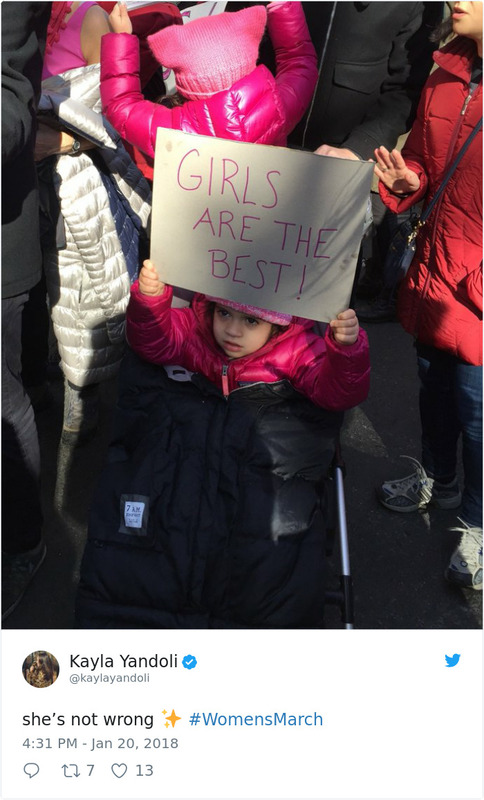 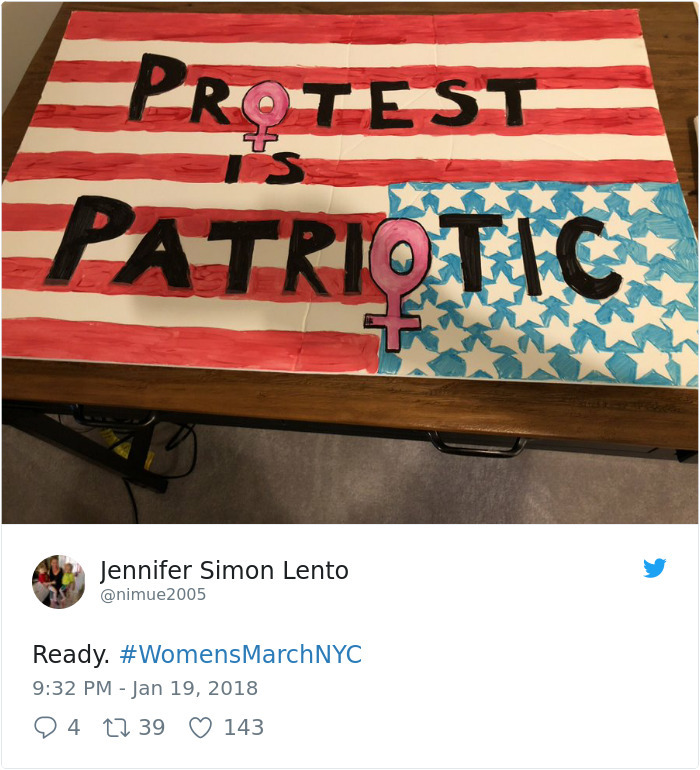 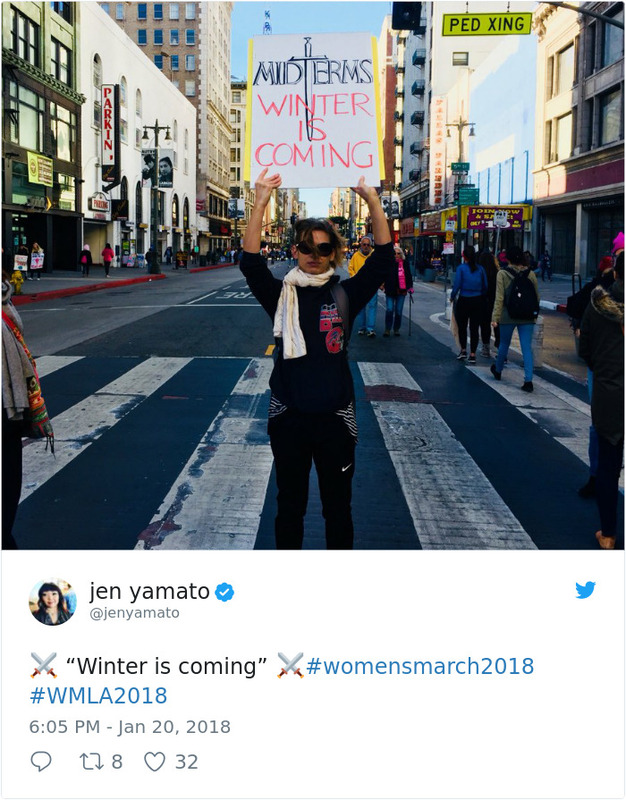 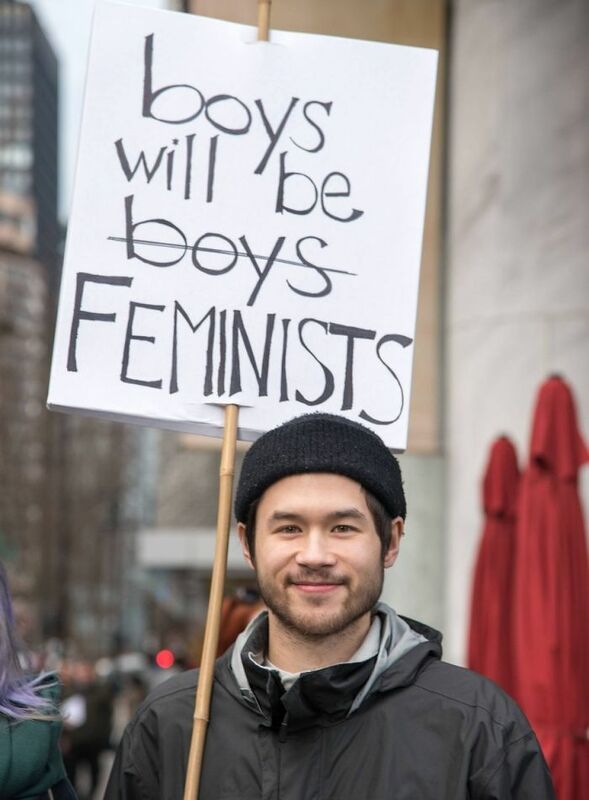 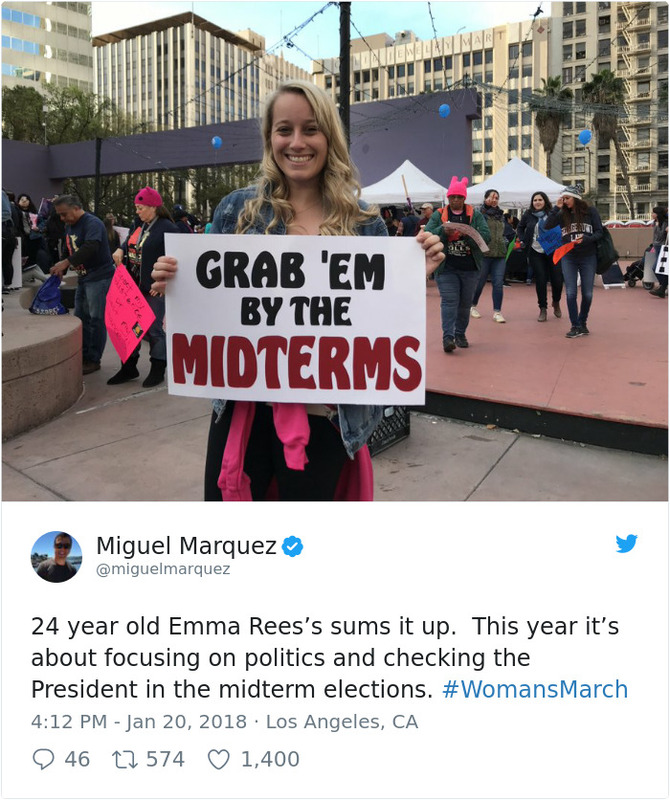 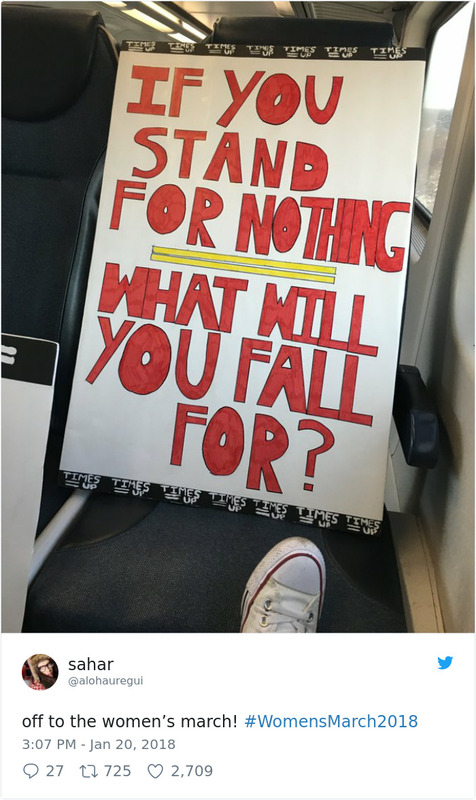 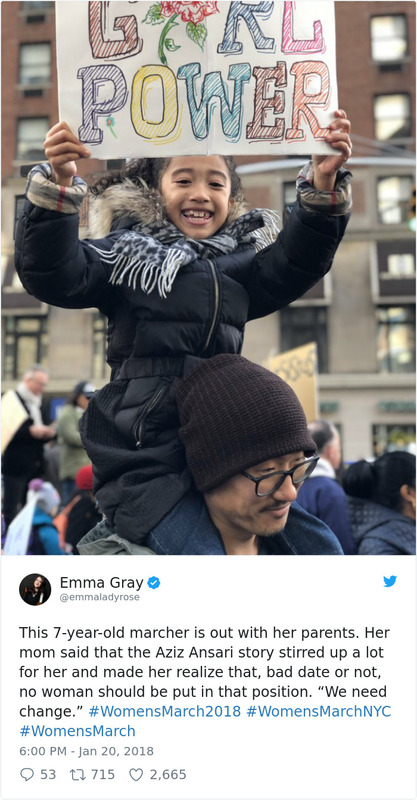 Despite this, the protests took place peacefully and with an optimism and good humor that bodes well for future female activism. 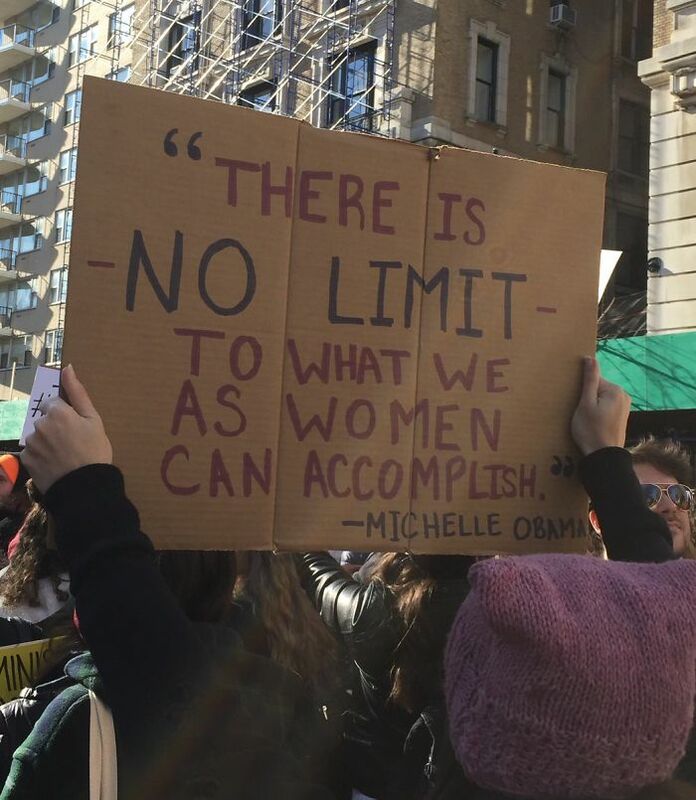 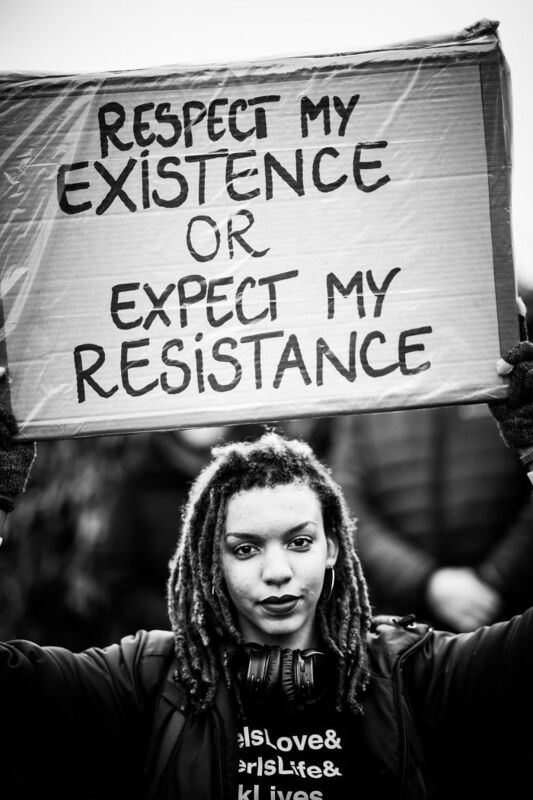 With more women now signing up for office than ever, and the rise of movements like the ‘Me Too’ campaign highlighting the insidious mistreatment of women by powerful men in Hollywood, it seems that women’s voices are being heard in the fight for a fairer, more equal society. 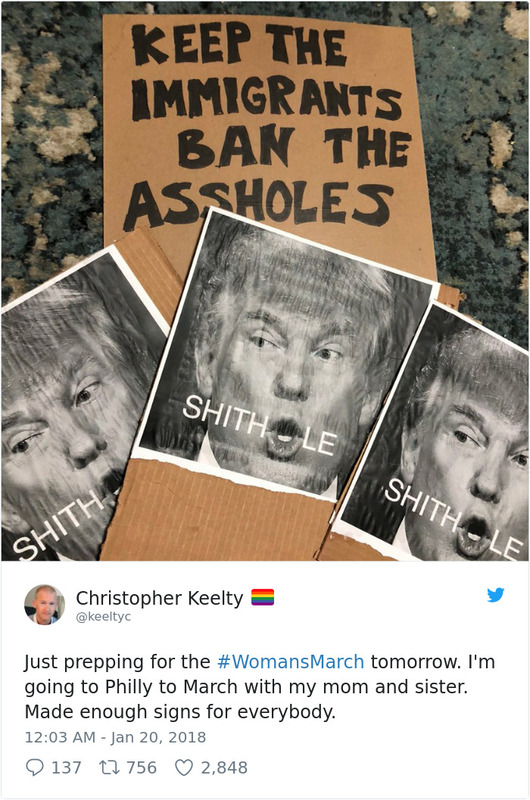 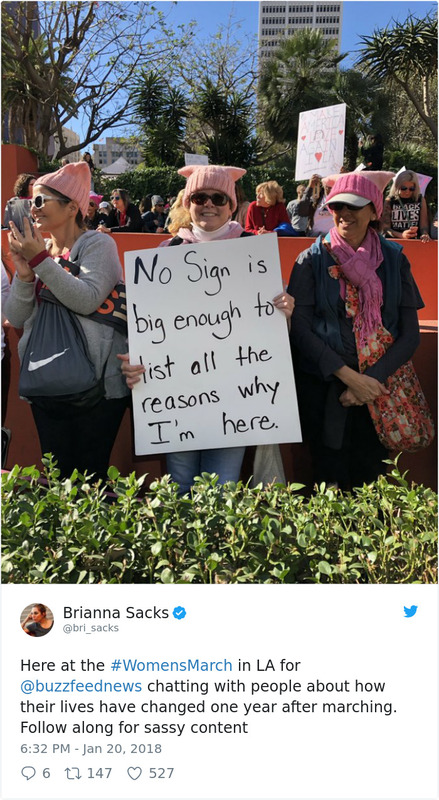 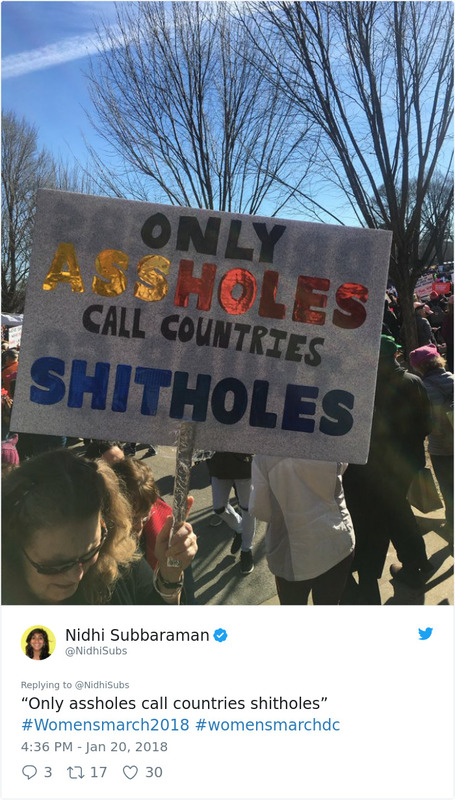 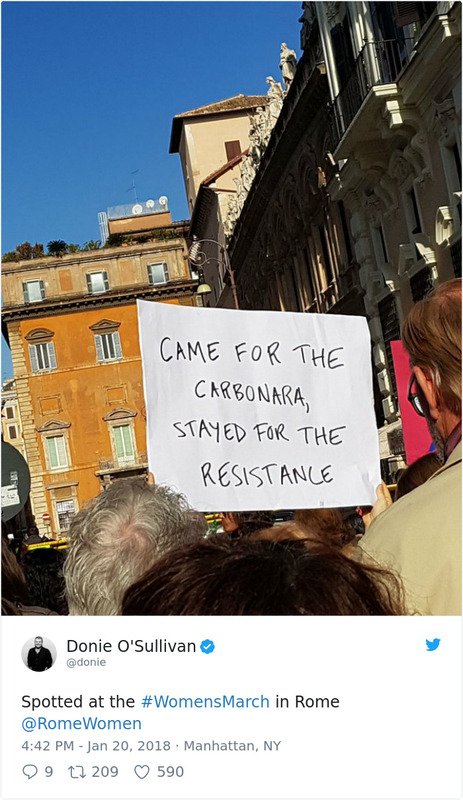 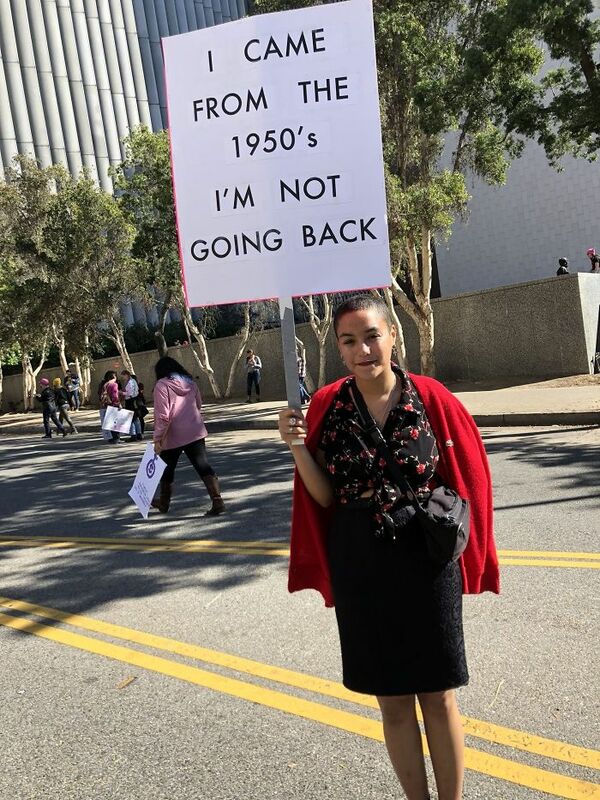 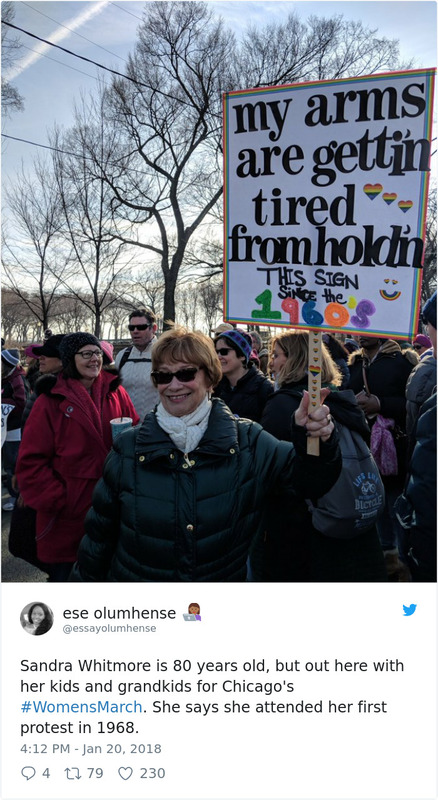 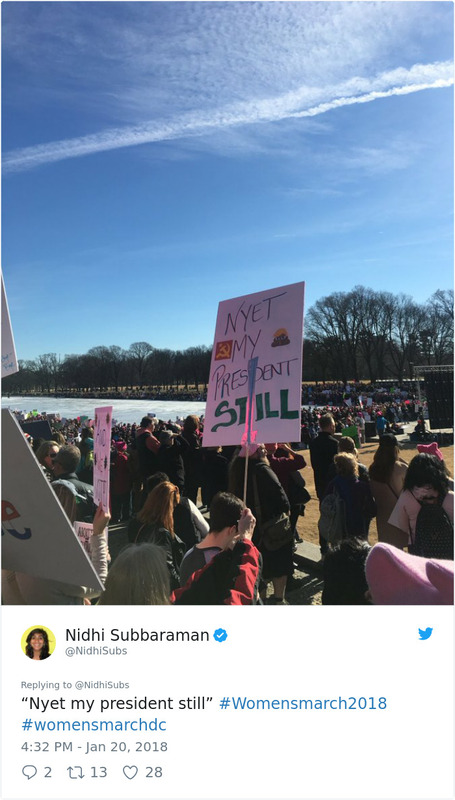 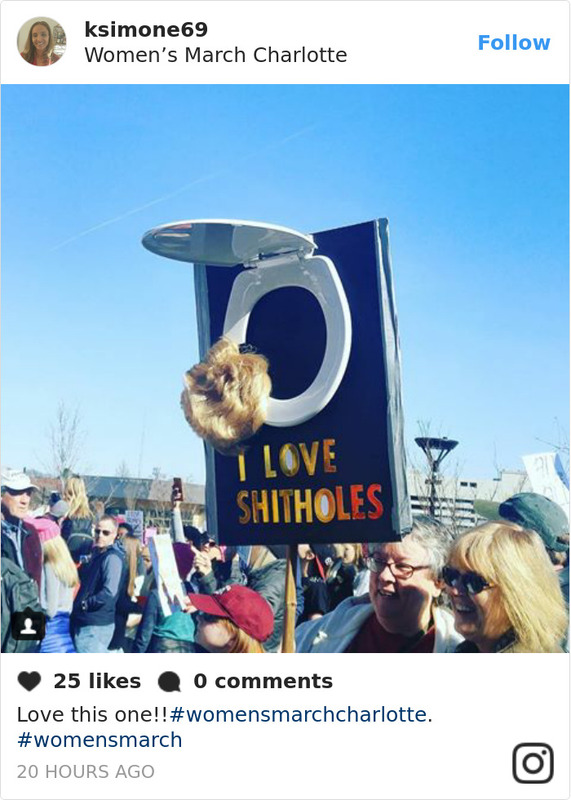 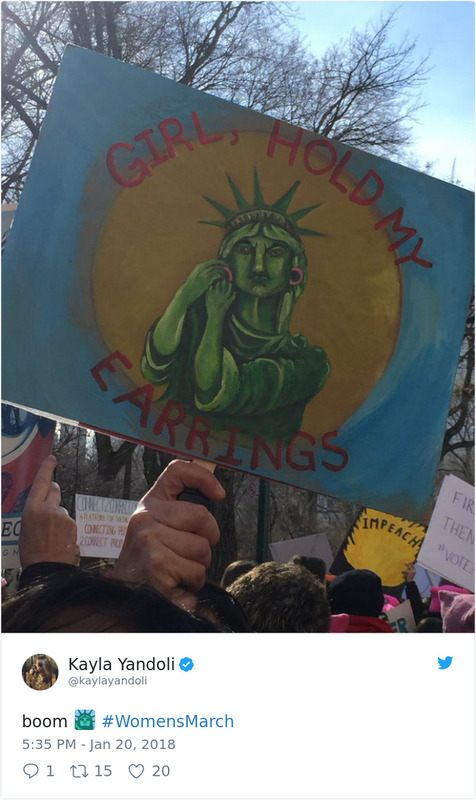 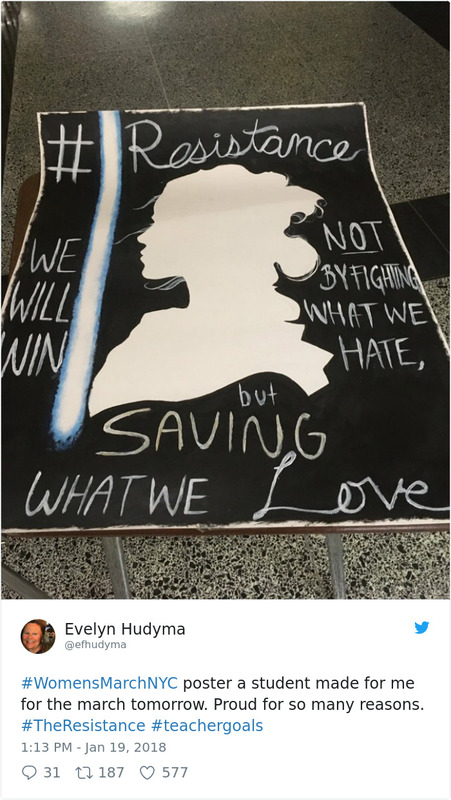 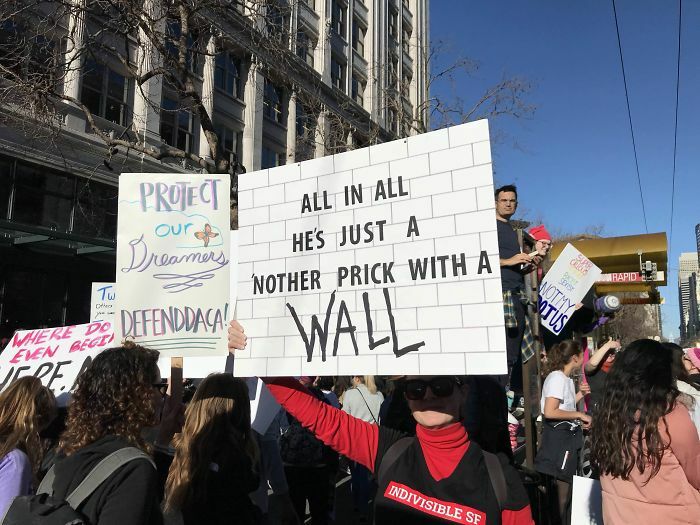 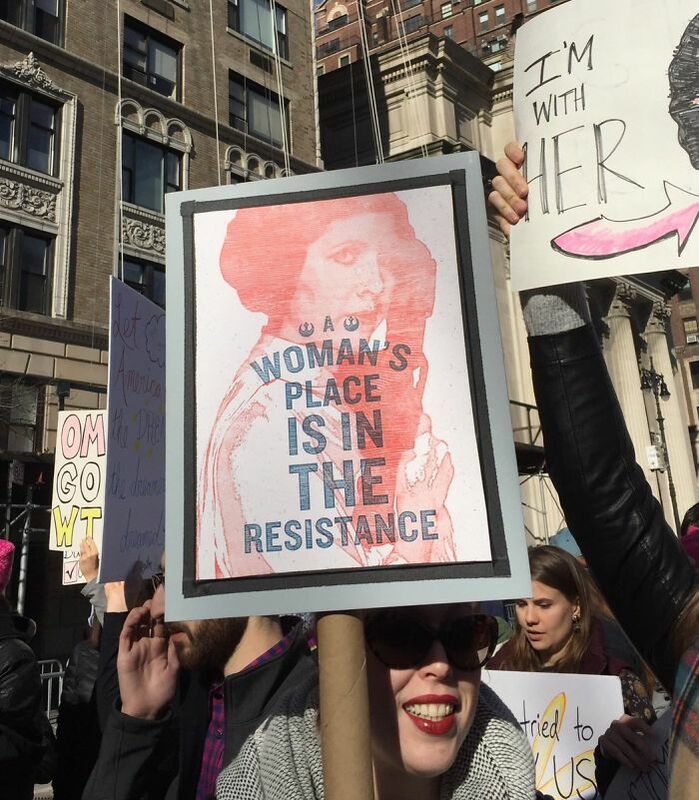 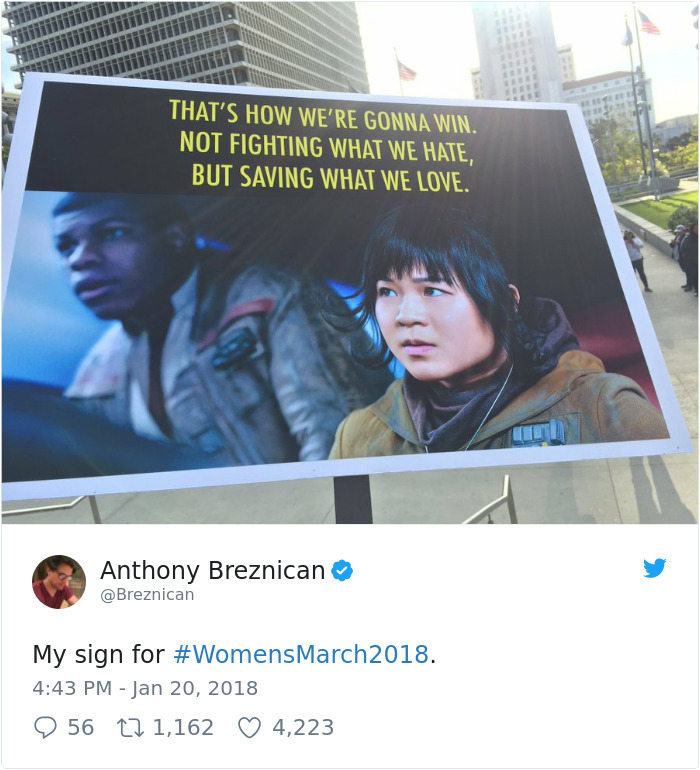 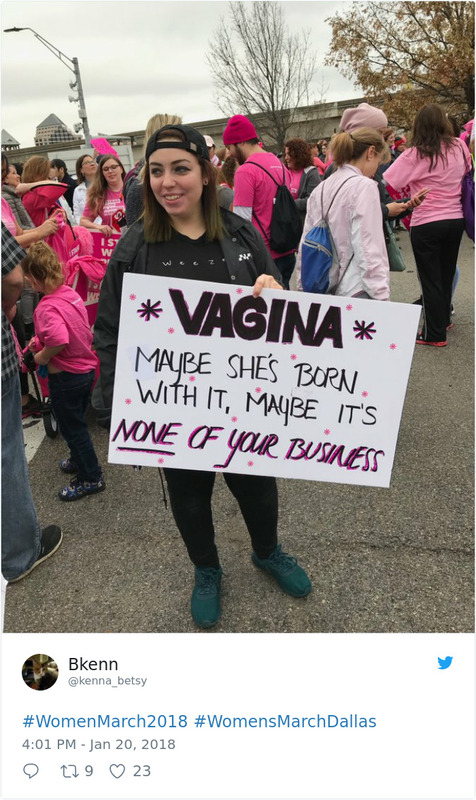 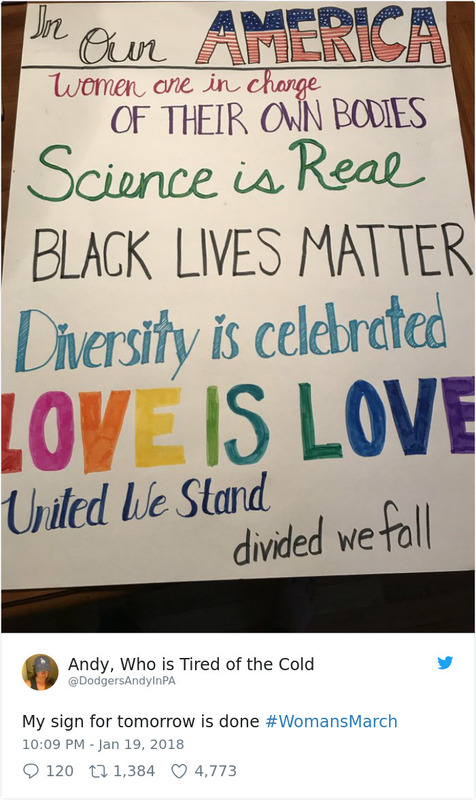 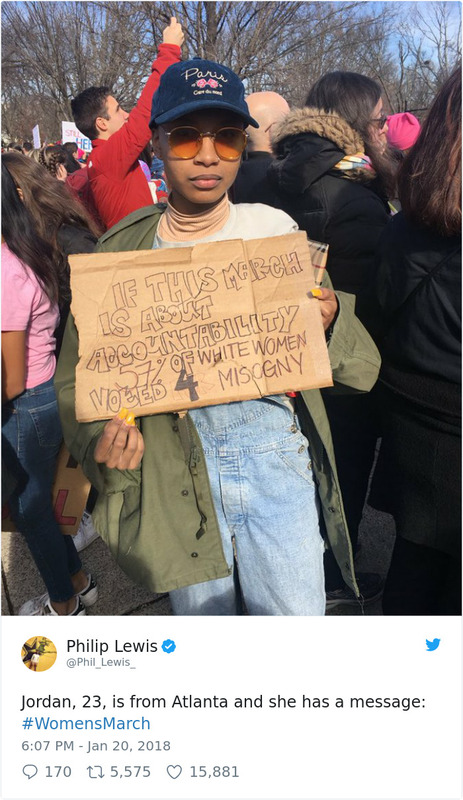 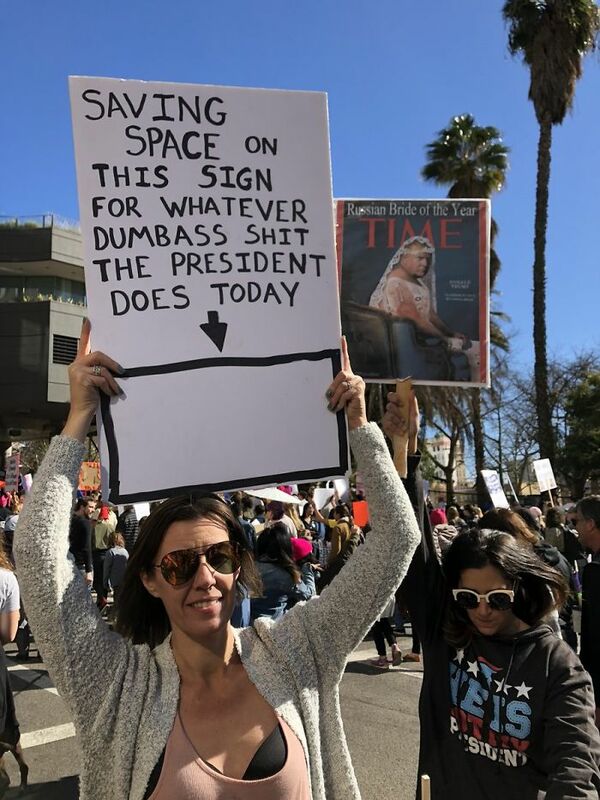 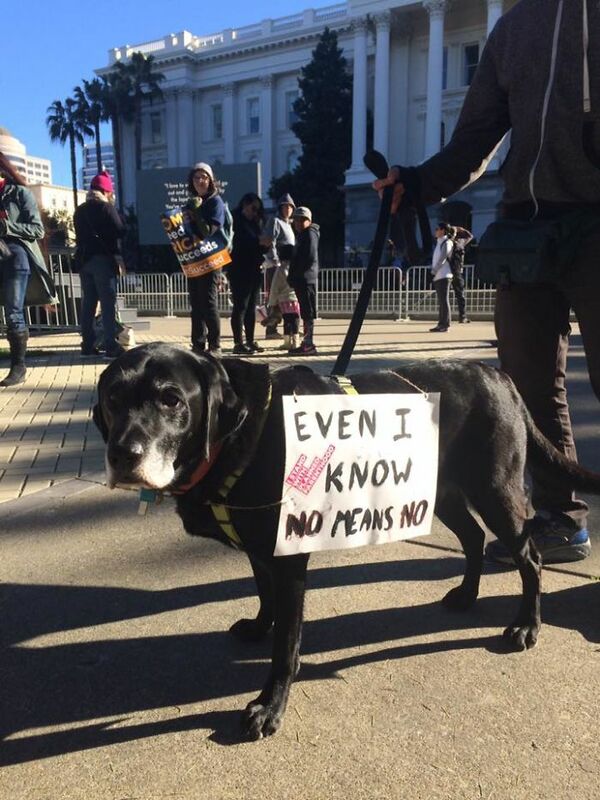 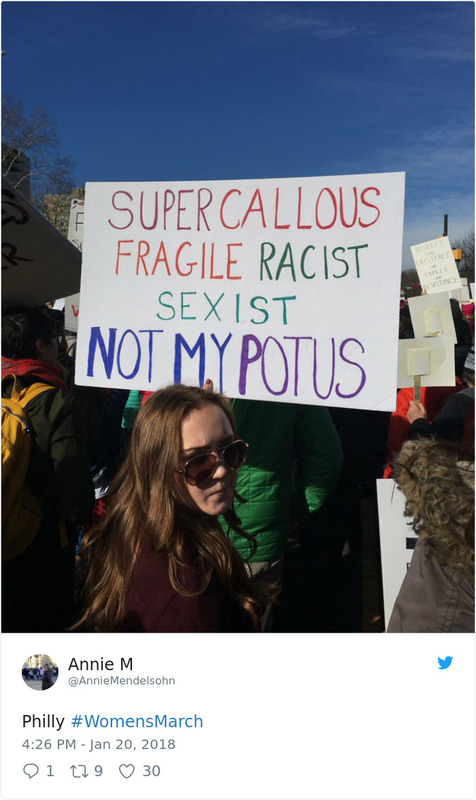 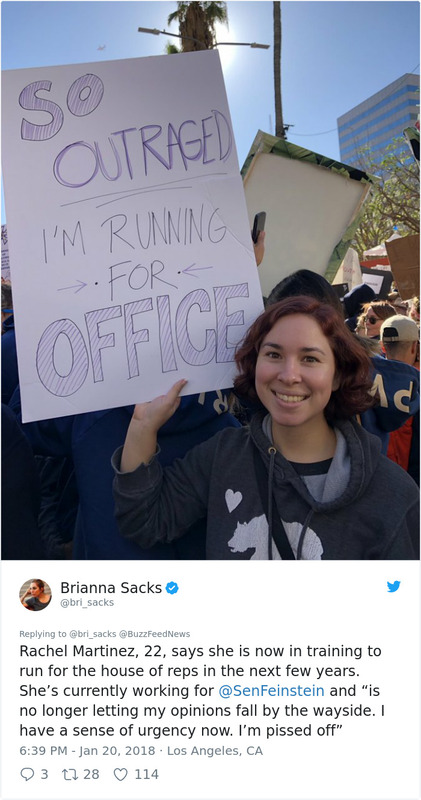 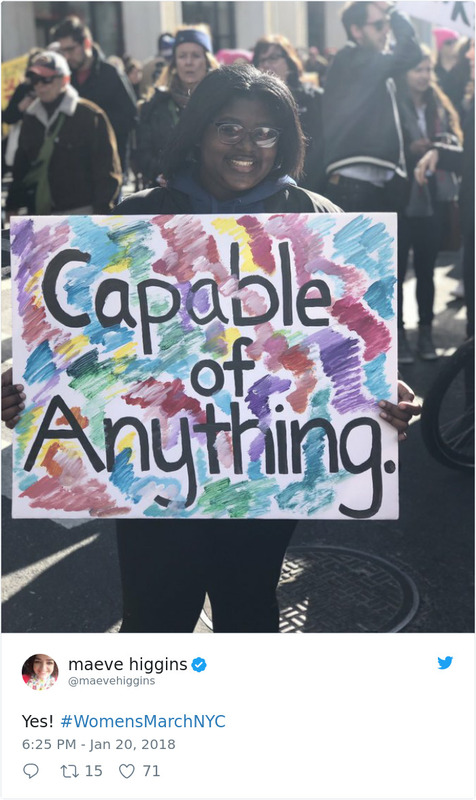 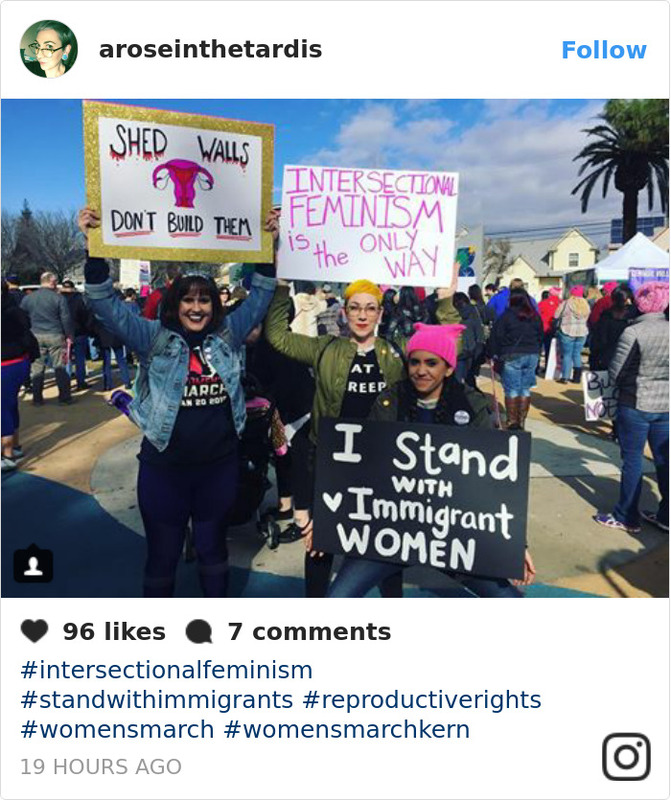 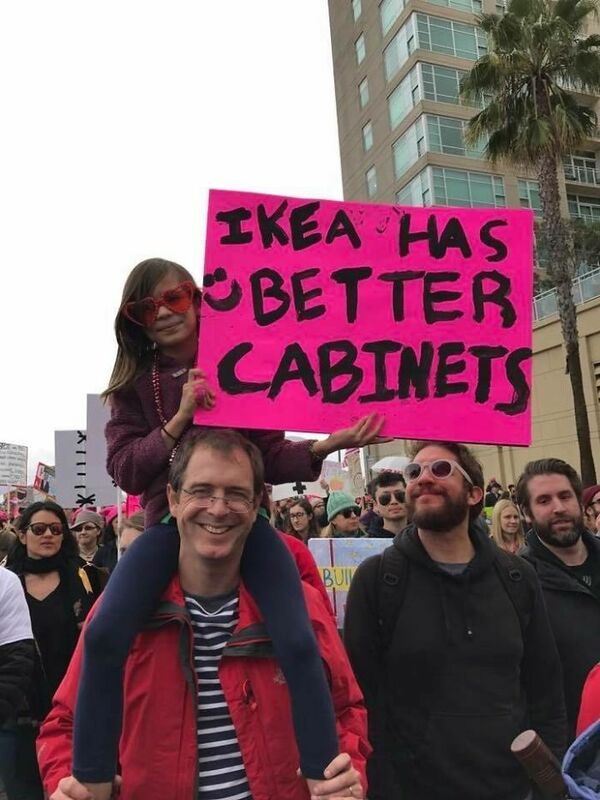 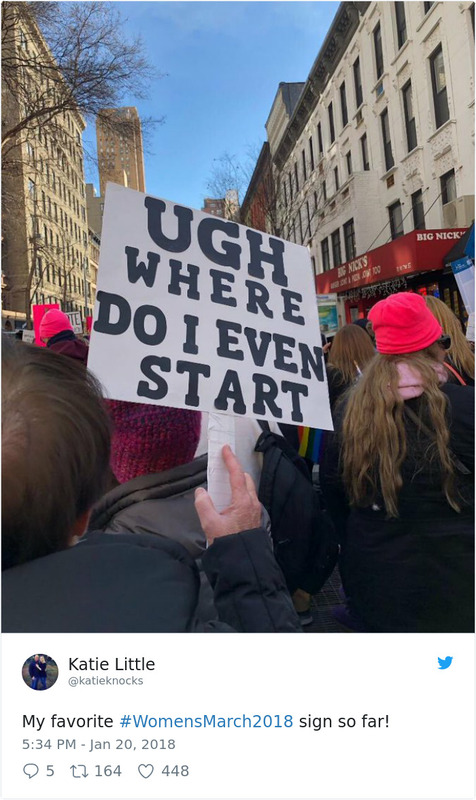 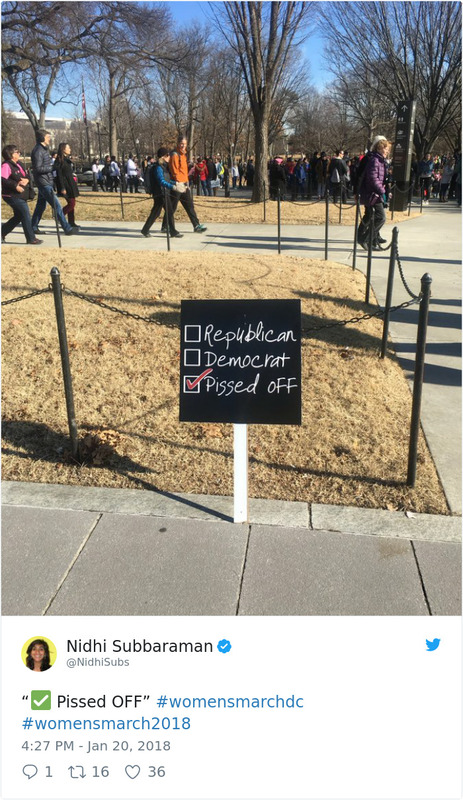 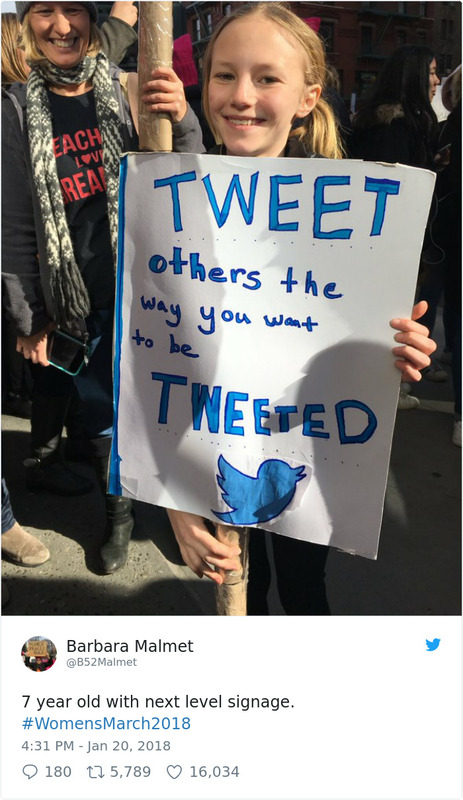 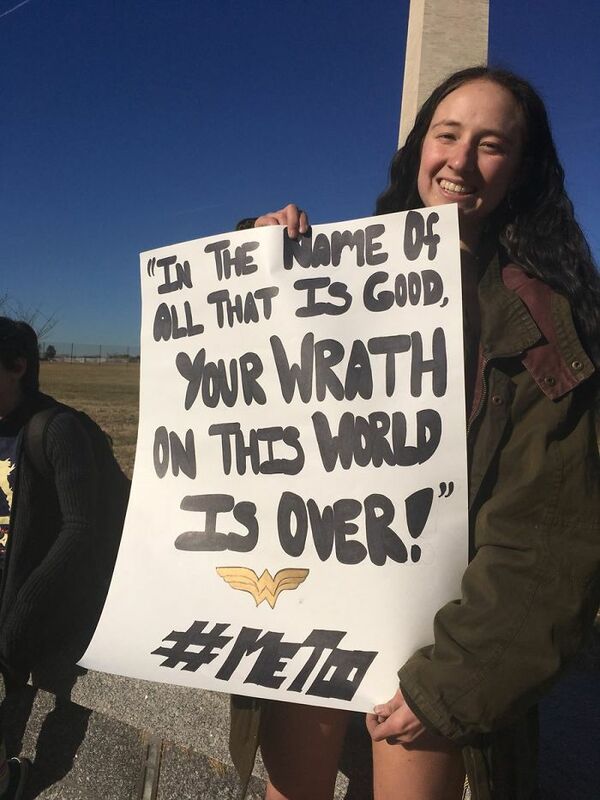 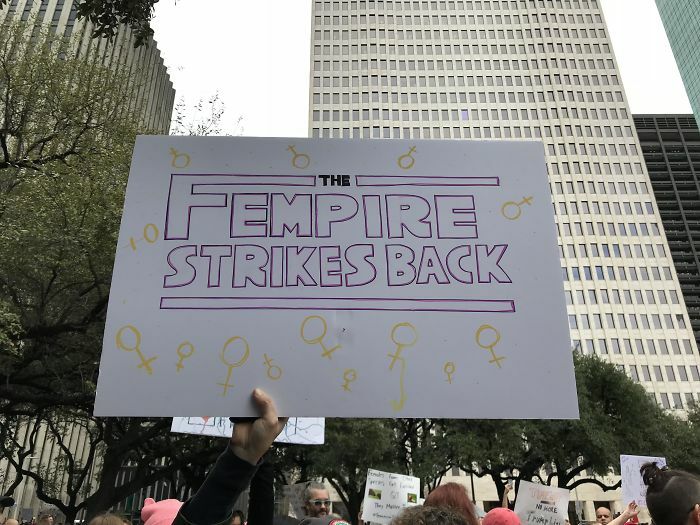 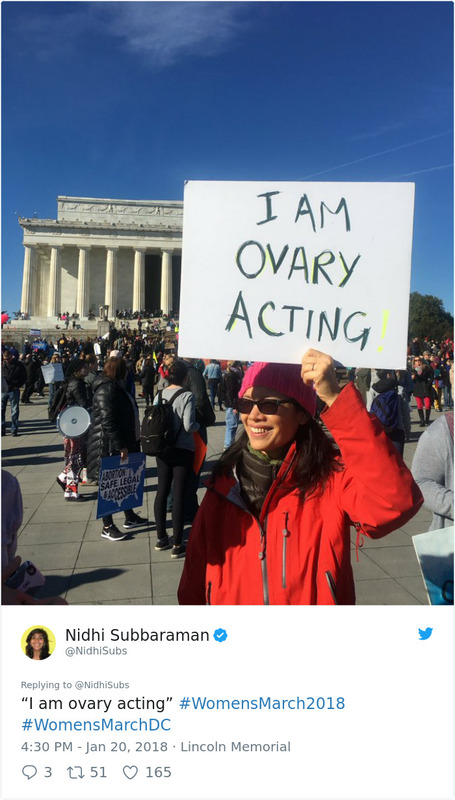 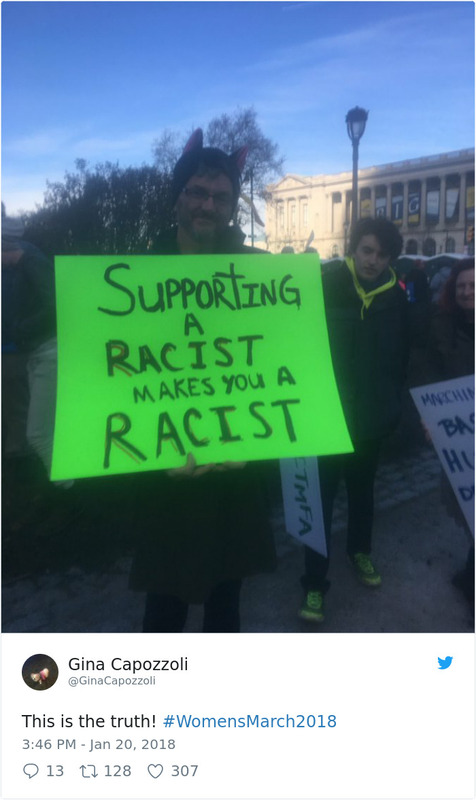 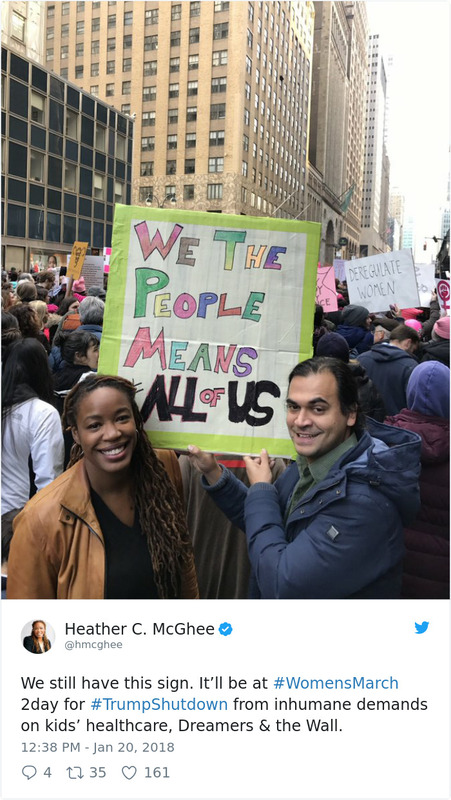 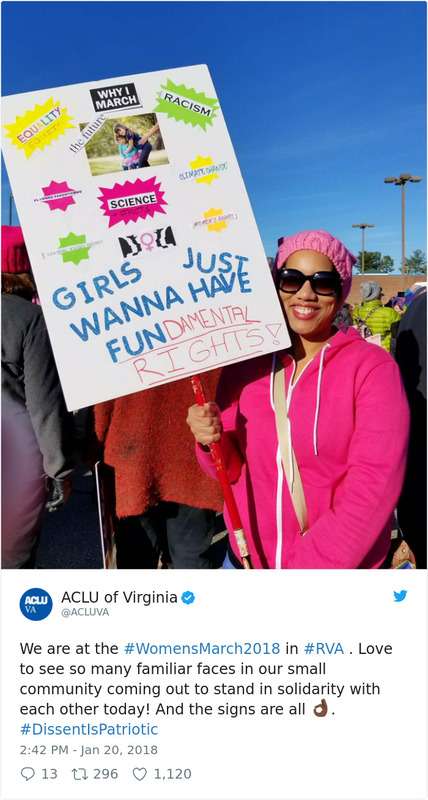 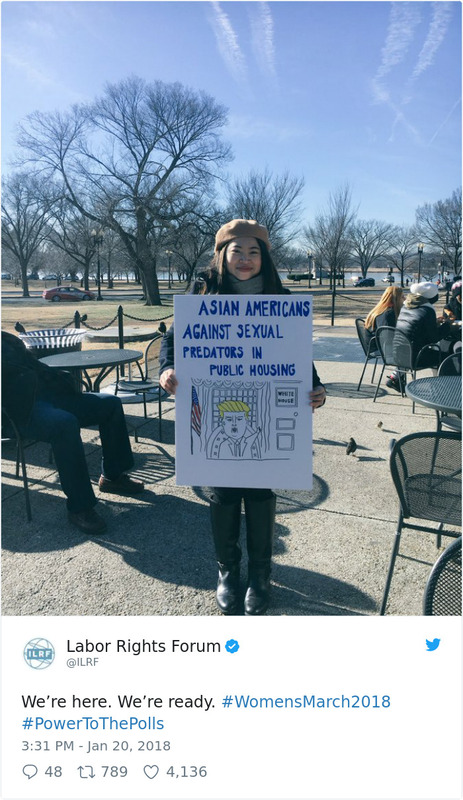 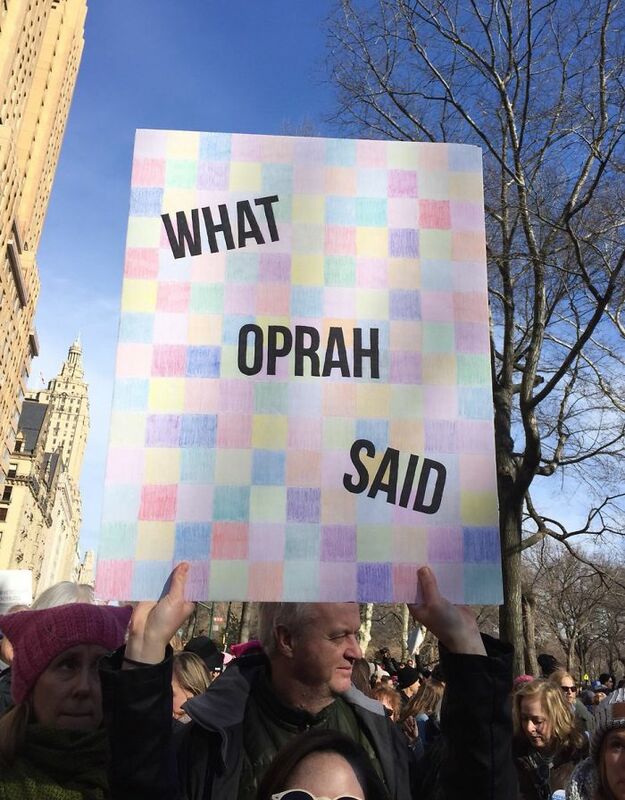 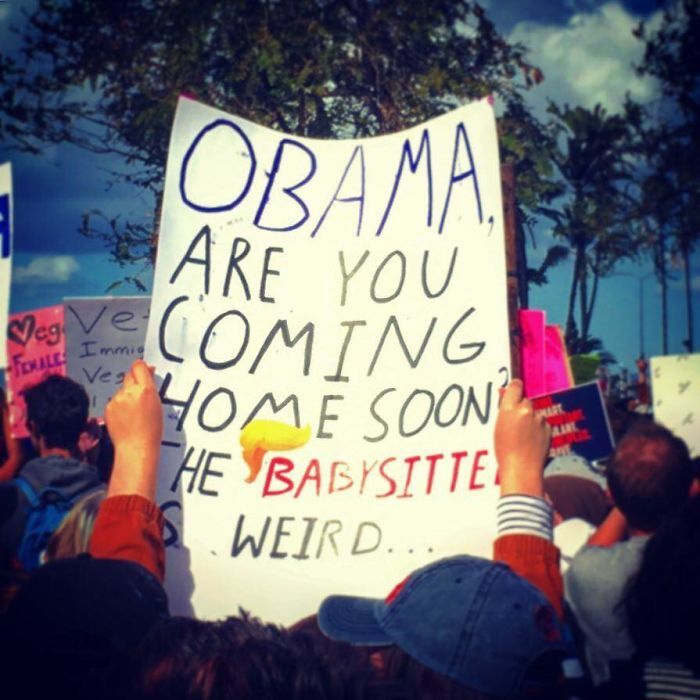 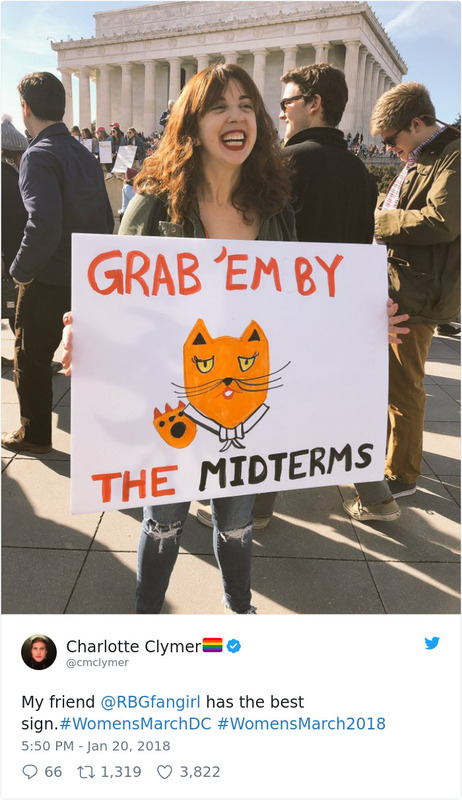 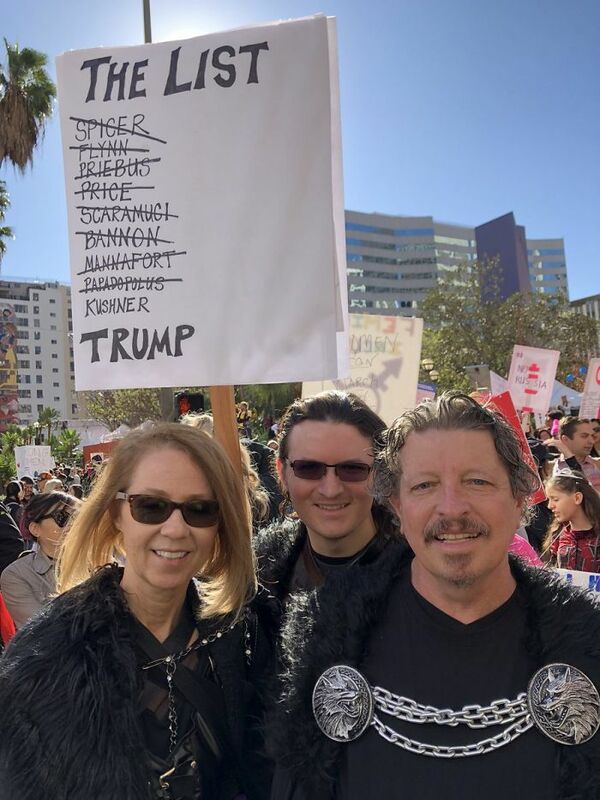 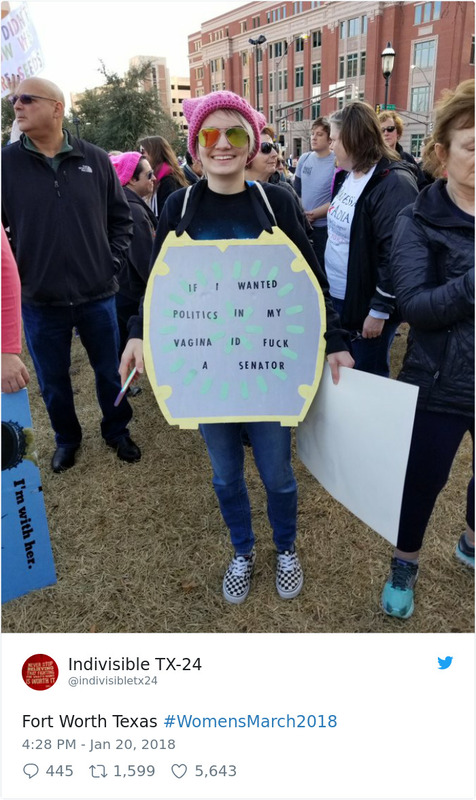 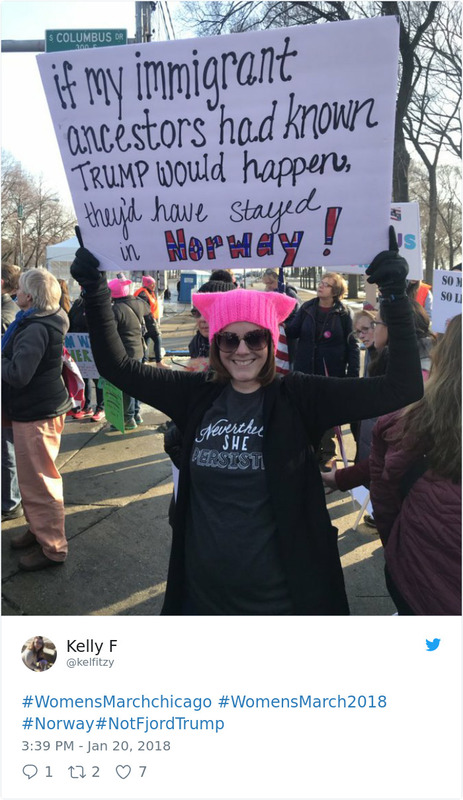 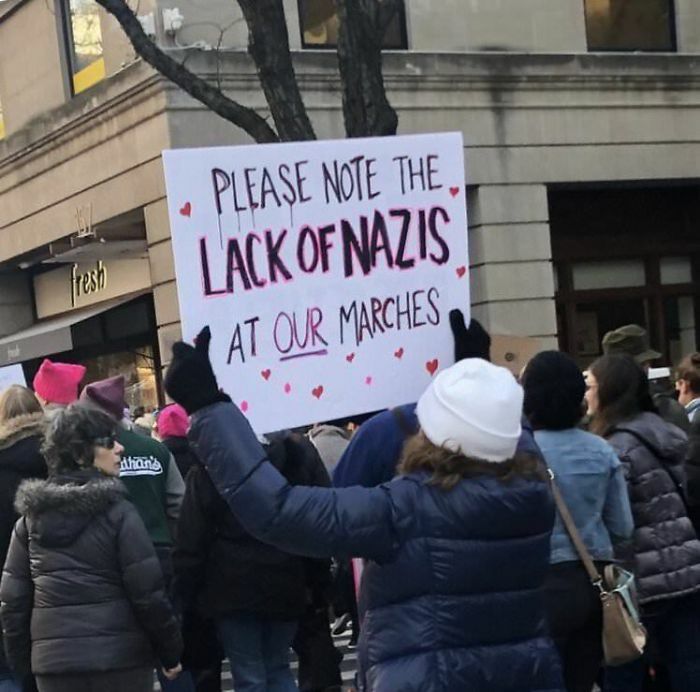 Scroll down to check out some of the wittiest, most creative and downright brutal signs from the march. 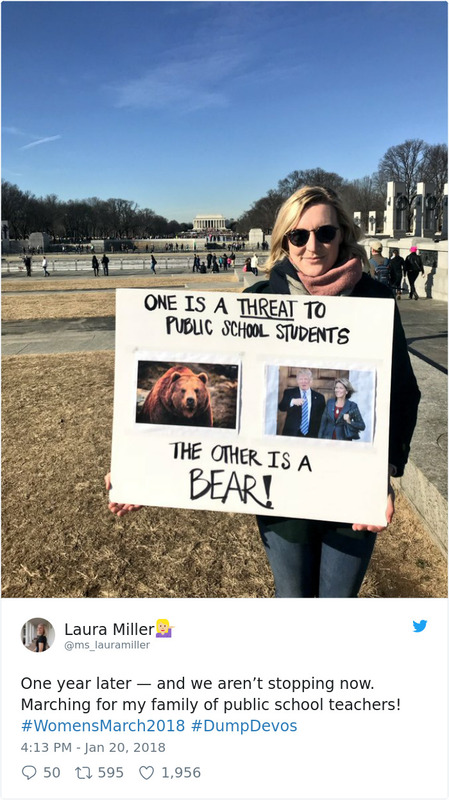 Let us know what you think in the comments, and don’t forget to vote for your favorite!